Have you ever wondered why some of your projects are more successful than others? 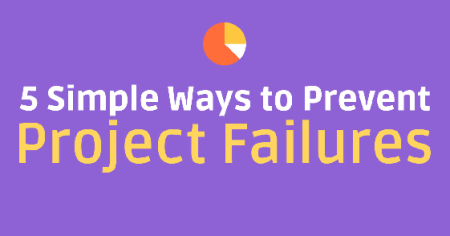 There are many reasons that lead to project failures but here at Ready Artwork, we have 5 simple ways to help us prevent project failures. All projects should have pre-determined start and end dates. Underestimating the effort and time needed will lead to a stressful situation for all of the departments involved, but overestimating effort can lead to inefficiency when your team knows they have more than enough time to finish their tasks. A good example would be Ready Artwork’s project with Lajaja Kids. The client had a very firm deadline because of a seasonal promotion. We were able to establish a timeline on what needed to get done and approved on each designated week so we were able to meet the deadline with the mutual understanding of the schedule. On-going close communication helped finalize designs and structure in time. We all know we can’t build a 5-story mansion with the budget of an apartment. That goes for websites too. Every single function and design requires work, therefore, it is important to prioritize what’s really needed for the website and spend your budget wisely. In order to do that, Ready Artwork’s sales team works closely with the clients in order to set a realistic budget, timeline and expectations. The team also advises which functions would work best and would be most beneficial. Like shopping for your new house’s furniture, there are various designs and functions for each product. Let’s say you really want a set of leather sofas but as the owner of 3 pets, a fabric sofa set would be more suitable. There will be times you really want to have certain visual effect on your website but it does not serve any purpose or even hinders your website performance. A great example is Ready Artwork’s website. During the design phase, our designers were envisioning a live instagram feed on the home page but after taking into consideration of the amount of resources it took up, the decision was made to remove it since it was taxing on visitors’ bandwidth. In this case we chose functionality over design and aesthetics. Do not be afraid to report bad news or let the team know about any changes needed. Ready Artwork is always on the lookout to provide the best solutions for the company website as well as any client website. Many projects fail because of progress delays and misunderstandings. There are numerous reasons that lead to progress delays but the best way to prevent it from affecting your timeline is to involve all key players from content coordinators to decision makers; anyone who contributes to the completion of the project is considered a key player. They should allocate time for meetings and regular updates. What we do at Ready Artwork is we set up regular meetings with each department and we take turns going over current projects and their progress. Having weekly progress updates helps keep all key players on the same page and in the loop. It is important to identify the objectives of the project and what your client is really looking for and providing the best possible solutions. Besides the initial meeting with the sales team, we also ask our clients to fill out a client questionnaire before we begin to customize the design. From the questionnaire, we are able to focus on the elements that our clients want and how we can integrate the best functionality with the style they are looking for. Mistakes are inevitable since we’re all human but here at Ready Artwork, we follow these 5 steps to prevent as many mistakes as possible and it works well for us. Contact us or give us a call at 626.400.4511 if you’re ready to get started on your project today!